Khloe Kardashian has gone all out for her daugter’s first birthday. 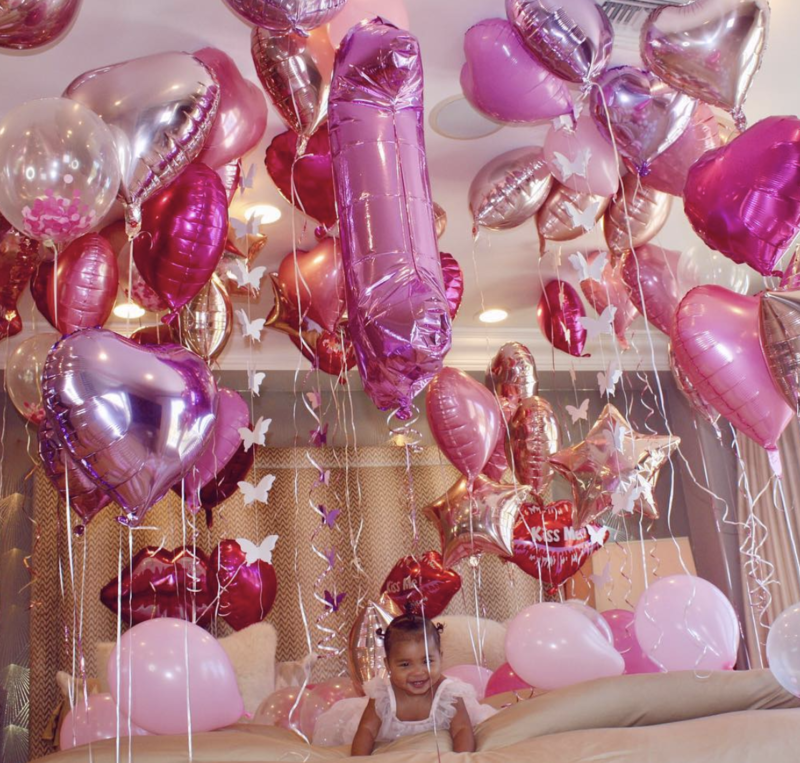 The mum-of-one celebrated True’s first birthday in true Kardashian style, filling her room with doznes of pink balloons. 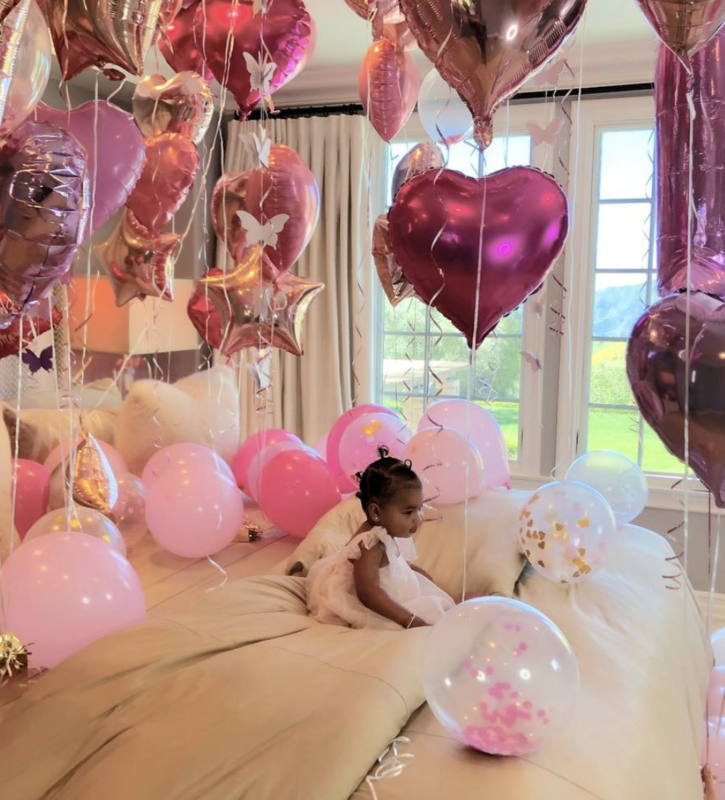 Sharing photos on her Instagram feed, the reality star can be seen also wearing pink, sitting alongside her little girl in bed. “Happy birthday my sweet True,” she wrote. It’s been a tough time for the newly single mum. 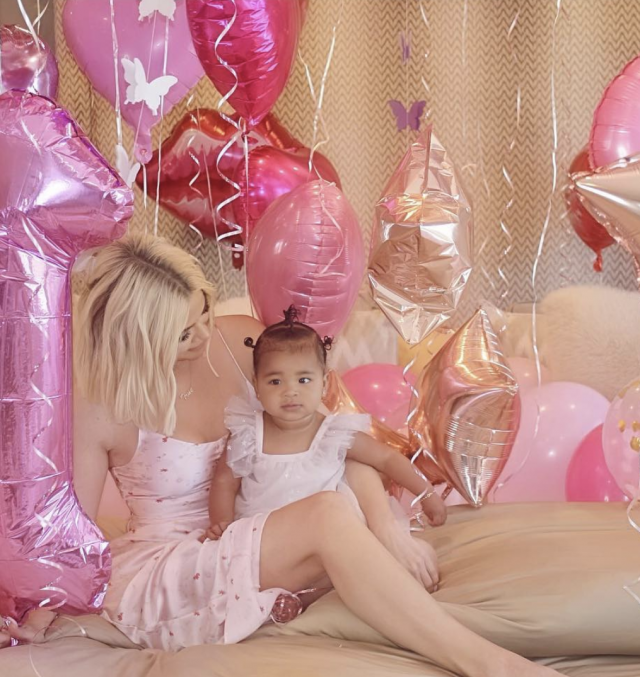 Khloe, 34, just recently split from True’s father Tristan Thompson – amid rumours he “cheated” on her with Kylie Jenner’s best friend Jordyn Woods. The new season of Keeping Up With The Kardashians is set to deal with the scandal, with Khloe seen screaming and crying in the trailer for the new season.